Texas came into this game at a minus 8 something VMI. Their hitting eye should be below the 4-seamer by an inch. 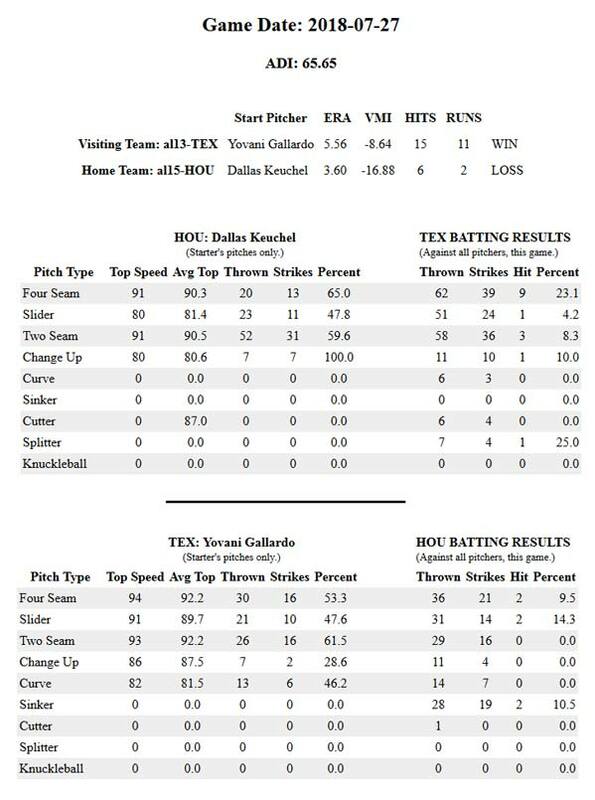 Keuchel kept them off balance pretty well until he threw Chirinos five slow 4-seamers in a row. 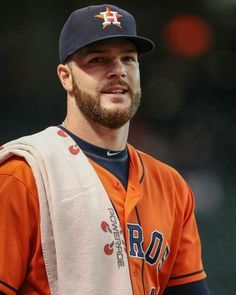 It appeared that Texas was locked in with keen focus and that could be attributed to Keuchel being a top tier pitcher for the World Champs. Once Texas got them down, they stomped on them, but it is no secret what playing in Colorado does to a team, even for a couple of games. In this game, Houston came directly from Colorado and sported a higher than normal minus VMI of -16 something. As most of you know by now, that means the four-seamer will be a big challenge for them, but they only played 2 games in Denver. Gallardo is a tight pitcher, but probably throws too many 2-seamers for his own good. However, Houston could not put enough hits together after being in Colorado to win even in their own home stadium.